Over the last decade, the auto industry has seen a shift in consumer preferences. While SUVs and other vehicles larger than sedans used to be regarded as cars you only purchased if you had a family and needed more space, they are now one of the more popular automobiles sold, even among the younger crowd. 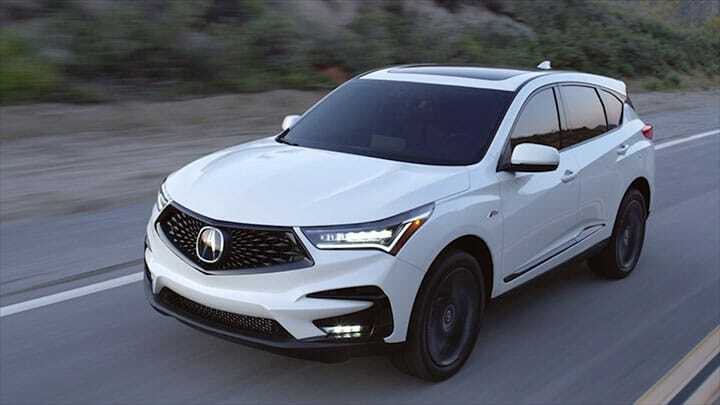 The new 2019 Acura RDX is a Crossover SUV that has continued the refinement of its vehicle segment with bold, sculpted styling, exceptional capability and inventive technologies. In the 2019 RDX Crossover SUV, you can accomplish on-road expeditions from memorable road trips with friends and family to next-level daily commutes. The standard turbocharged engine in this exceptional luxury Crossover SUV is ready to slice you through winds with powerful energy that reacts smoothly to your tap on the pedal thanks to the 10-speed automatic transmission. To support you in conquering every corner with superb stability and tight control, Acura engineers have also equipped the RDX with available Super-Handling All Wheel Drive™. Now, when life throws you curves on the road, you're ready to handle them. As much as we can tell you about the new 2019 Acura RDX Crossover SUV, our words and the pictures you scroll through will only give you part of the story - a small one at that. The 2019 RDX, as well as any of our other new cars for sale, are best experienced in person. That's why we invite you to schedule your test drive. We look forward to assisting you with all of your automotive needs!